This is the aftermath of a half hour battle between me and a wheel speed sensor that didn’t want to come out of my Jetta’s hub. 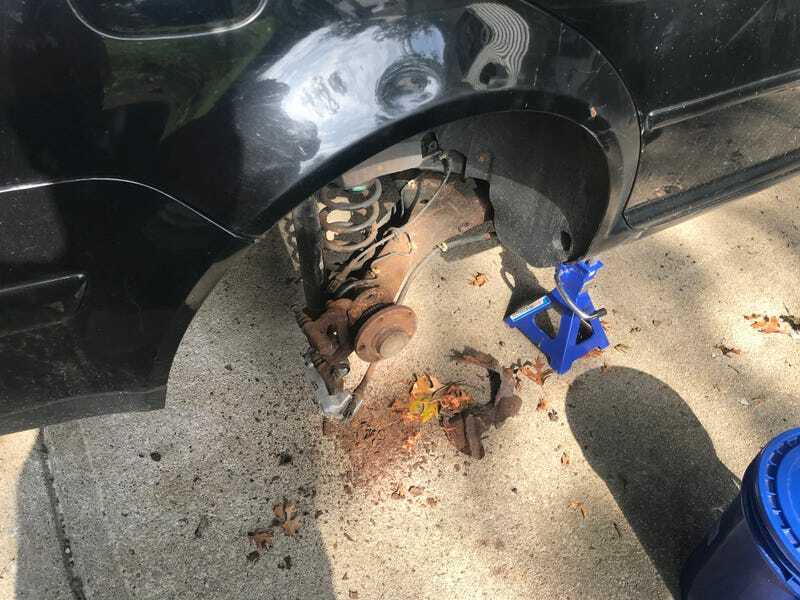 I removed the brake rotor shield by hand because it was so rotted, and rust/dirt/garbage was just caked in around the sensor. Eventually I was able to chip the whole thing out and install the new sensor...and it actually works! I went from having static sensor malfunction codes on both the left and right rear wheel speed sensors to no code for the right rear and still static on the left. That says it’s a good fix to me, so I’ll proceed around to the other side and get that one done as well. Shockingly, assuming it fixes that side, I’ll be a flex pipe away from an inspectable/driveable car. I’m really looking forward to getting it on the road, mainly because I want to get 28mpg instead of 14, but also because it reminds me so much of my old allroad. Downside: having the Jetta has gotten me back into VW/Audi enthusiasm...I’m currently thinking about a Touareg to replace my Tahoe. Doesn’t seem like an awesome idea.